Here at Walker Electrical, we are Preston’s leading electrical experts. From commercial electrics, to industrial, we can install, repair, upgrade, and maintain a wide variety of electrical services. And to do this, we often need to rely on fault finding. Especially when working on industrial sites such as factories and warehouses. Faults and breakdowns can cost a company a lot of time, and money, so finding the fault, and being able to repair it quickly and efficiently, is essential. As a result, we have produced this guide to fault finding in industrial electrics. Which equipment was running when the problem occurred? Is the equipment out of sequence or showing evidence of a fault? Does the operator think there is a fault? If so, what? 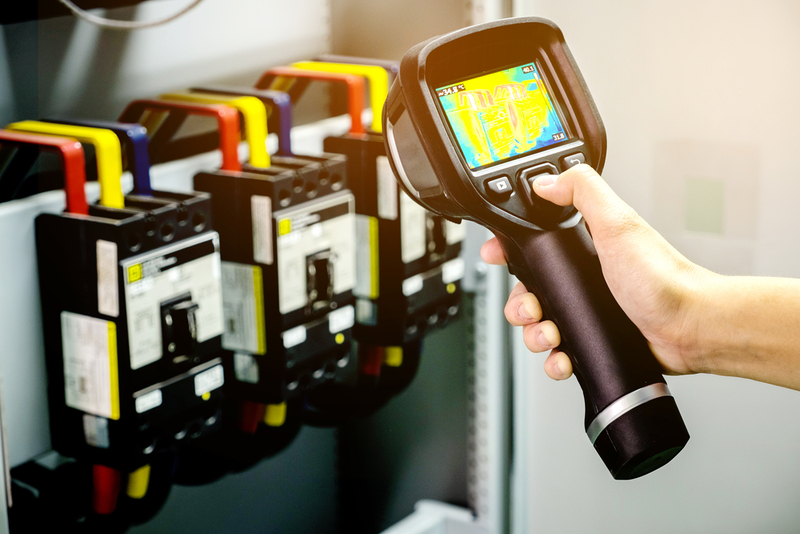 Thermal imaging allows us to see visibly when components inside machinery and systems are over-heating or under-heating. We can also see if they are taking longer than usual to heat up, and get going, or if they are heating up too quickly. Any of these can indicate exactly where the issue is, and also helps to make an informed opinion about the nature of the problem or issue. Wear and tear, or a broken part, are usually the main culprits when it comes to industrial electrical faults, with equipment. That’s because the internal components are hidden on the inside, so regular checks cannot be accurately performed, which leads to larger scale breakdowns. For more information or advice, get in touch with the experts today, here at Walker Electrical.